BELGAUM: On July 7, 2011 the union cabinet gave it nod for the Phase III of the FM Policy which covers 227 more cities with a population of more than one lakh and this was some good news for people of Belgaum as well as it was in the 227 cities listed. But the Auctions did not happen for various reasons and now minister of I&B Mr.Tiwari said last month that by October end the e-auction for the 227 FM radio stations would happen. As per the notification in July 2011 as many as Four stations can be operational in Belgaum. 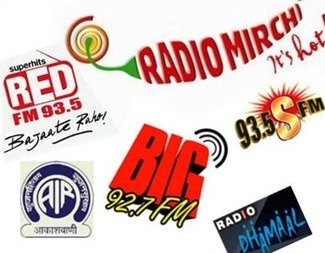 As per the FM radio guidelines, Broadcast pertaining to the certain categories like information pertaining to sporting events, traffic and weather, coverage of cultural events, festivals, coverage of topics pertaining to examinations, results, admissions, career counselling, availability of employment opportunities, public announcements pertaining to civic amenities like electricity, water supply, natural calamities, health alerts etc. as provided by the local administration will be treated as non-news and current affairs broadcast and will therefore be permissible. Stil how many days to wait?? Million dollar question. The FM stations will be in which language??? Hindi, English, Marathi or Kannada?? ?